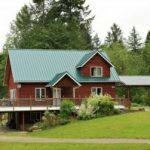 Are you looking for a great place to stay at Mount Baker, Washington? Check out these lodging options below for planning your ski and board trip to Baker, or your summer vacation planning a hike on Table Mountain over looking Mount Shuksan. When your done finding a place to stay check out our list of restaurants near Mount Baker and on the way to and from Bellingham. 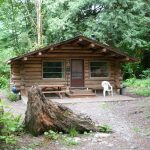 Baker Accommodations offers cabins and condos in the resort developments of Snowater, Snowline, and Mt. Baker Rim. Thes are conveniently located just east of the town of Glacier. Mt. Baker Lodging offers cabins, condos, chalets and executive rental home accommodations. A number of selected units are pet friendly. Walk-in reservations and one-night stays are also available. From mountain chalets to waterfront lodges, Luxury Getaways offers overnight accommodations in newly built vacation homes located in the heart of the Mt. Baker Recreational Area. These accommodations are perfect for hitting the slopes and having a home-away-from home to come back to relax in. Snowater is a 20-acre condominium community bordered by the Nooksack River. Featuring indoor heated pools, hot tubs, racquetball courts, ping-pong, pool tables, Wi-Fi, barbecue areas, tennis courts, sports courts, a log cabin, and walking trails. Conveniently located behind the Chair 9 Woodstone Pizza and Bar, this six-room inn is ideal for families or groups. Clean rooms have queen-sized beds, a full bathroom, and views of Church Mountain as well as access to a meeting room.